Roger De Coster has his man. Three times AMA champion Cooper Webb had been on the Belgian’s radar for some time in the vast and exciting world of American supercross and motocross. The athlete from North Carolina is just 22 years old and has two 250 SX West Coast titles and one 250 MX motocross crown but he has struggled to replicate that aggressive and determined form since moving into the 450 category for 2017; injuries have also not helped his progress. 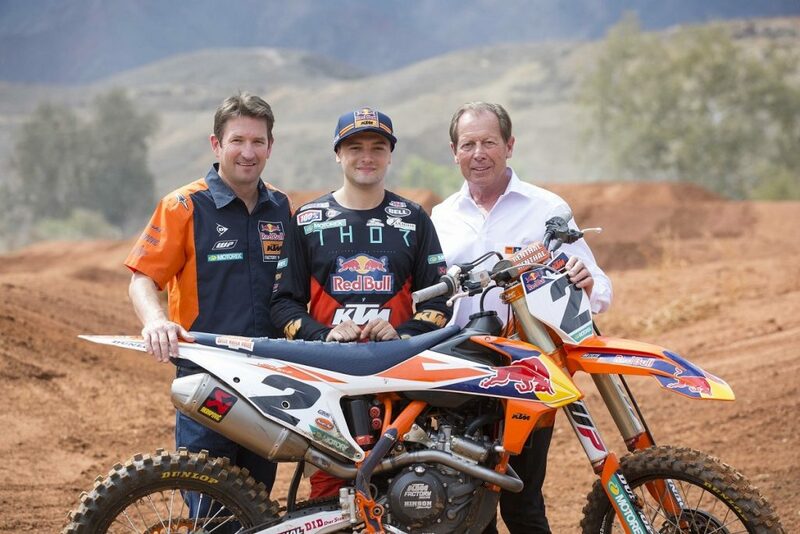 Red Bull KTM now have a fantastic prospect to mould. For 2019 Team Manager Ian Harrison will count on Webb’s undoubted talent alongside Marvin Musquin on the KTM 450 SX-F in the Baseball and American Football arenas and then across the breadth of the USA for the summer MX series. For Webb the move to ‘orange’ is a big one; a change of residence, manufacturer, trainer and guiding forces for a season that will stretch to more than thirty weekends. Ian Harrison (USA), Cooper Webb (USA) & Roger De Coster (BEL) KTM 450 SX-F FACTORY EDITION 2018 © KISKA, Inc.
We facetimed Cooper at his base in Florida and after he’d taken his first laps with the KTM 450 SX-F and in the company of De Coster, Harrison and Co.
Cooper, after the success with Ryan Dungey and Marvin in recent years is there a feeling that a chance with Red Bull KTM is one that cannot be considered lightly? The prospect of working with Roger and Ian must have been important as well? While there have been #5s, #1s, #25s on the KTMs then there have been great results. Does that increase the pressure to hit the same marks? 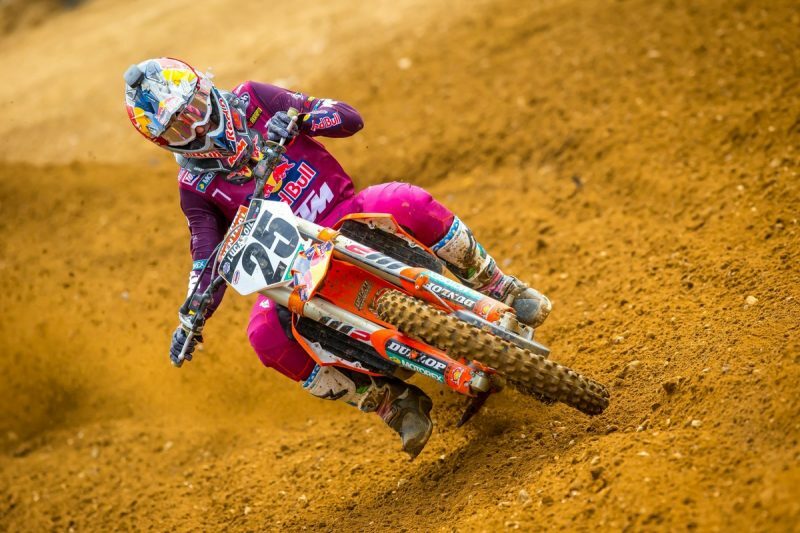 It’s early days but how do you like the feel of the KTM? You’ll be training with Aldon at the Baker’s Factory as well? Thoughts on entering that program? And having Marvin as a teammate? It’s been a tough introduction for you to the 450s recently. Will this chance invigorate the motivation to be one of the very top names in the sport once again? So, when will people first see you in orange?